If your mouth and teeth have been bothering you, it is time for you to head to your local emergency dentist in Beaumont to receive care. Dental emergencies can come up at any point in time and they even occur to those patients who are in good oral health. You never know just when an emergency might occur and it is important that you find the care you need when you need it. 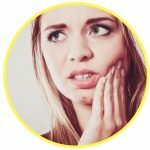 Your dental emergency can cause pain that starts out as mild and then gradually turns into a severe situation or you may experience an emergency that is severe from the moment it happens. There are home remedies that you can put into place to help ease the pain, but they will never fully take the pain away and you will still need to visit a dentist. Delayed care can mean serious complications. If you have tooth pain, you should take a moment and browse through the Beaumont emergency dentist listings below to help you identify which offices can see you immediately. In addition to 24-hour dentists, you will find Beaumont walk-in clinics and after hour facilities. Many of the standard dental offices in the Beaumont area are only open Monday through Friday from 9:00 am until 5:00 pm, which can be quite inconvenient, especially if you work during that time or you are unable to take time off work. Unfortunately, tooth pain will not stop just because you cannot get into your dentist’s office and you will still have to deal with the pain and agony. Continued pain can lead to a lesser quality of life and may even limit how much social time you can commit to. There are emergency dentists in Beaumont that can see you and provide you with the care that you need, especially as you try to deal with the pain. These dentists work hard to make sure they perform the procedure you need in a timely manner. Beaumont after hour dentists are available to see you up until 6:30 pm Monday through Friday. This option is convenient for those individuals who work until 5:00 pm and cannot take time off work to head into their general dentist’s office. Whether you have been suffering with a toothache or you have developed a dental abscess overnight, it is important that you find a Beaumont emergency dentist to treat you. While you are in pain, the last thing you want to do is spend a bunch of time in front of the computer trying to locate an emergency dentist only to not find what you need. Fortunately, we have done the work for you and we invite you to take a look at the list of emergency Beaumont dentists below. Once you find one you like, simply give them a call and schedule your appointment. DescriptionThe pain of an infected tooth can creep up on you and your family right away, and also really ruin a good visit or vacation. Make sure that our emergency hotline number is at the top of your list when you encounter a serious problem, and we’ll get you linked up with an understanding pro in no time! This urgent dental care service is set up to locate the nearest dentist. You simply call and they will make every attempt to match you up with an oral physician in the area you live. So if you are wondering if a dentist is open on Saturday or Sunday in Beaumont, TX, you can find out pretty quickly by calling the number above 24/7/365. It is a toll free number staffed with emergency dental practitioners whose job is to find a dentist office near your location so you can get same day treatment. All of the trouble of finding a weekend dentist in Beaumont, TX is alleviated as this is the primary function for the folks at Dentist Phone. Description: This practice has been serving the community for quite some time, and is a very reliable and skilled emergency dentist in Beaumont TX for you. This particular office is not open on weekends, but has the capacity and resources to help with all of your family dental needs. Whether it is an extraction, root canal therapy, questions about past injuries, or need for medication, they are open promptly at 7AM on weekdays to help you. DR. Caldwell’s office is open until 6PM on weeknights so you can squeeze in an urgent visit if you have had an incredibly busy day, and is located right on Harrison St. in Beaumont. They are a great community resource for you if you are looking for someone to handle a need for root canal therapy, abscessed tooth, other sudden infection, or wisdom teeth coming in improperly. Make sure that you are taken care of immediately, and see the staff at Dr. Caldwell’s office today. Southern Oaks Dental Care is a clinic that is open Monday-Friday from 8 AM to 5 PM, and is a great choice when you are looking to get attention for any dental problem you are now facing. It may be the need for a closer look at pain that is affecting you, braces that have come loose, or a cracked or broken tooth you are experiencing. Beaumont’s known clinic for family care that extends way beyond your appointment, they rank high on every local’s list. Charles E. Dyer D.D.S, M.S.D. Inc. This pediatric dental specialist has experience in all of the most important aspects of dentistry: this is a great place open during the week in Beaumont to help you with your most important dental needs. Open until 6PM during the weekdays, they will be able to assist you with anything ranging from long-term aching teeth, cavities, crowns being broken, and objects stuck between the teeth. Located right on Longfellow in Beaumont, they’ll be waiting for you to show up with whatever your burden is, and with the ability to make you comfortable. Dave S. Carpenter, D.D.S., P.C. Description: Dr. Carpenter’s office in Beaumont is open four days a week: they stay open until 5:30 PM Monday through Wednesday, and close at 12:30 PM on Thursday. You can arrive here for help with broken crowns, cracked teeth, early abscess pain, and many other dental concerns. Dr. Carpenter and the staff will be on hand to give you the best of service possible, and make sure that even your dental anxiety will be calmed during your visit. World of Smiles is a weekday clinic for dentistry in Beaumont that can aide you with root canal therapy, the need for any extractions, wisdom teeth removal, and many more issues. Having a great clinic to rely on during your time of need will always make you feel comfortable. Don’t wait for too long when you are experiencing severe dental pain, and get to this hospitable clinic immediately. A Beaumont emergency dentist is just like your general dentist’s office and your appointment and the process will seem very similar to each other. Before you head into the office, you should inquire about the cost of the services. This is important for two reasons. First, you need to know what you may need to pay. Payment is often expected either before treatment is rendered or the moment after it is rendered. Secondly, you need to know what payment methods are accepted, if your insurance will pay for any of it, and what you can expect with the entire payment process. Being prepared will help the appointment go a lot smoother. When you arrive in the office, if it is your first time there, you will need to fill out paperwork, which can take about 10 to 15 minutes. This paperwork will ask you questions about your medical and dental health. This information will also allow the dentist to be able to treat you better. If you have dental anxiety or suffer from any allergies, you should alert the dentist and staff so that they can make the proper accommodations for you. Some dental offices offer sedation options to patients who may fear the dentist or are afraid of dental procedures. If you are experiencing any type of tooth pain right now, you may be ready to yank out your tooth and end all of the pain, but this is not a feasible way to do it. There are different emergency dental conditions that can arise and some of them take time to form such as tooth decay, whereas others will develop overnight such as a dental abscess. Whether your tooth was just knocked out or you have been battling a toothache for months, you need to receive care for it. Delayed care can mean that the tooth decay or infection spreads in your mouth. Every dental emergency that arises needs to be looked at by a trained professional dentist to ensure you receive the care you need. Emergency dentists in Beaumont are able to provide you with the procedures needed to eliminate the pain you feel. Reading any of the information provided to you on emergencydentistsusa.com is not meant to be a substitute for the advice given to you by a trained medical professional. You should use this site for informational purposes only. If you are experiencing any of the emergencies listed below, you should call your local Beaumont emergency dentist to receive immediate care. Fillings may fall out of your tooth is you eat a sticky food such as candy or if the structure of the tooth is compromised. When this happens, the filling falls out, leaving a hole where it once was. To handle this type of a situation, you should place a piece of sugar-free gum into the hole or use a dental cement in place of the gum. 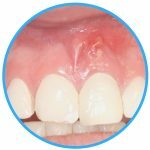 If you can recover the filling, it is a good idea to do so and save it until your appointment. If you have lost a filling or you notice that yours may be loose, it is time to schedule an appointment to see your local Beaumont urgent care dentist. A dental abscess is a serious dental emergency and it needs to be handled swiftly to prevent the spread of infection. Abscesses appear in your mouth as a pimple-like bump on the gums and can be very painful. It is important that you do not try to drain them on your own, as this can spread the infection and cause more complications. If you have a dental abscess, you should rinse your mouth out with a warm saltwater solution and get in touch with your local Beaumont emergency dentist immediately to receive the dental care that you need. If you have lost the crown to your tooth, you want to try to recover it to prevent choking. Once you have it in hand, you have a couple of options. You can treat the tooth with clove oil, if it is painful or causing you a lot of sensitivity. The second option is to place some dental cement into the crown and place it back over your tooth. If you choose to put the crown back onto your tooth, do not force it, as this can cause more problems. 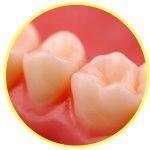 If your crown has come off of your tooth, it is important that you quickly follow up with a Beaumont emergency dentist. Emergency tooth extractions may be needed when the integrity of your tooth is not great or when other treatment methods will not work. Dentists like to try and save your tooth before they recommend an extraction. Some of the alternative treatments include fillings, crowns, root canals, and similar. When these options will not help support the tooth, then the tooth may need to be extracted. Sometimes there are dental conditions that require an emergency extraction such as a wisdom tooth impaction. It is important to note that not all conditions need to have an emergency extraction and not all dental conditions are an emergency. If you think you have an emergency, you should contact your local Beaumont emergency dentist. Tooth extractions may be recommended when you have impacted teeth, a broken tooth, severe tooth decay, or a serious infection. If you have extreme pain in your mouth or you are suffering from a toothache, you may think that you need to head to the emergency room. Many patients do this, but it is not always the correct place to go. The reason behind this is because the emergency room treats medical conditions and they are not equipped to treat dental problems. If you do happen to go to the ER, they may prescribe you medication or a pain reliever until you can see your dentist. In an emergency situation, you would be best served at a Beaumont emergency dental office. These dentists work around the clock to provide emergency care and they have the tools and equipment needed to relieve you of the pain you feel. It is important that you do head to the ER in situations where you may need medical care. For example, you should go to the ER if you sustain head trauma, have a broken jaw, or have been involved in an accident. The Emergency Dentists USA portal is a website that should be and is designed to be used for informational purposes only. You should never use the advice or information found on this website to replace that of a trained medical professional. If you are experiencing a dental emergency and you cannot reach a Beaumont emergency dentist, you should call 911 immediately. We do recommend that you always check with your local Beaumont or Texas dental society before you visit a new dentist in the area. 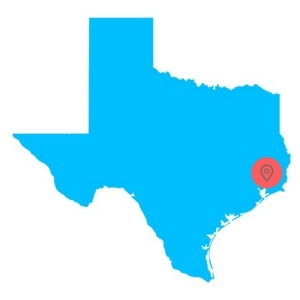 To learn more about the dentist’s licenses, credentials, and certifications, you can check out the Texas State Board of Dental Examiners or the American Dental Association. If you have a dental emergency or you are experiencing any type of tooth pain, you should take a moment to search for a Beaumont emergency dentist. If you cannot locate one or get in touch with one, you should head to your local emergency room or call 911 to receive immediate care. The Emergency Dentists USA website should be used for information purposes only and should not be used to replace the advice from a trained medical professional.